It’s that time of the year where everything gets decorated in the spirit of Christmas – streets, stores, houses. Every season people spend money on decorations that will make their home like a Christmas fairy tale and sometimes this can cost a lot. Luckily, there are so many things that you can make at home. 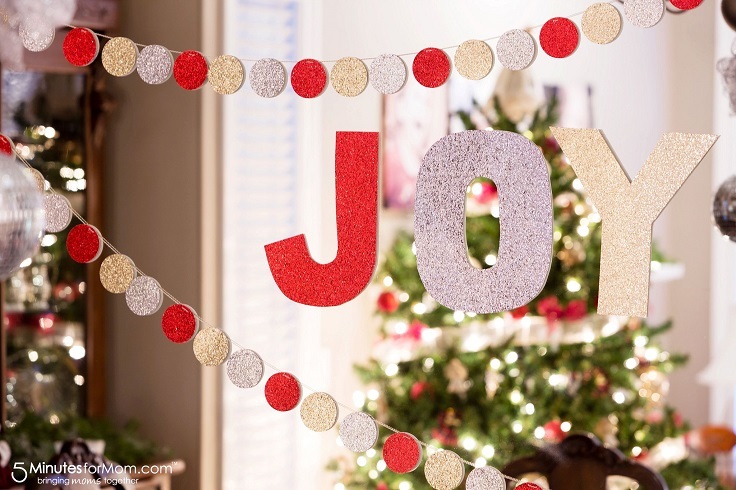 Adding a Christmas spirit in your home can be really easy with these ten crafts that we picked for you. They are easy to make, won’t cost you a lot and the best part is that you can have fun while creating, and you can even do it together with your close ones. Enjoy it! 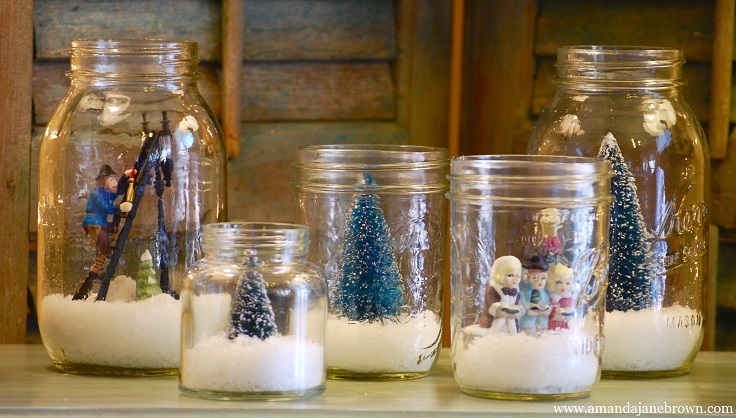 Snow globes are one of the best ways that you can decorate a room in a Christmas spirit. They are very easy to make, look amazing and occupy a little space, making them perfect for any room of the house. If you want to make one like those from the picture, you need a mason jar in any size, bottle-brush trees, artificial snow, ornaments or Christmas village figurines, bleach and clear glitter, which are optional. Wreaths are the perfect decor for a front door, but they can be placed anywhere in the house. They look very nice, are easy to make and can be really budget – friendly. They also leave so much space for experiment, so it’s up to you and your creativity to create what you like. 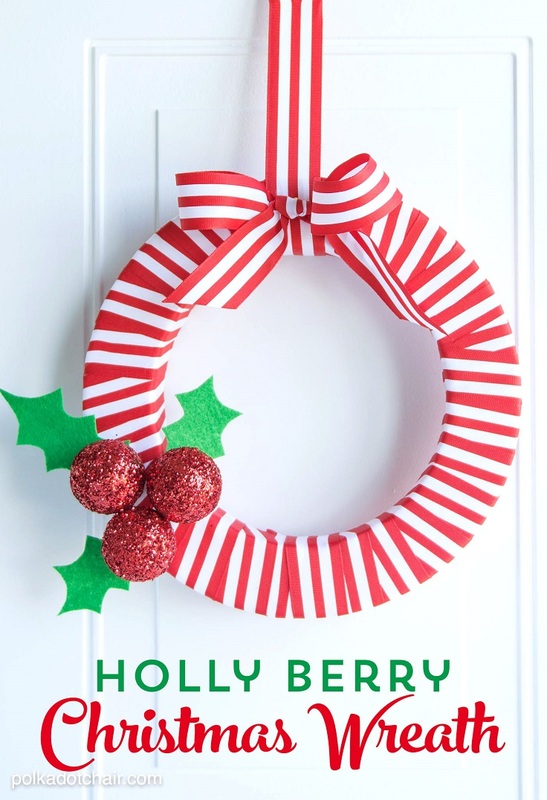 For the pictured wreath, you need 12″ wreath form, 3, 2″ make it fun balls, 1 sheet stiff felt, red paint, red glitter, styrofoam glue, toothpicks, pins and 1 1/2″ wide striped ribbon. Christmas stockings are one of the most popular decorations for this holiday. They are adorable and you can be sure that by having few of these inside your home, you have already invited the Christmas spirit in it. 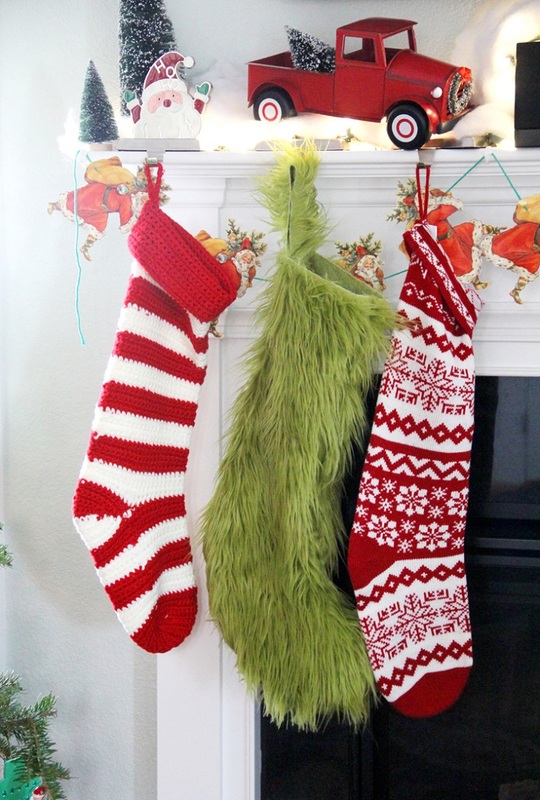 To make your own stockings, you need Grinch Christmas stocking pattern that you can download at the website below the picture, 2/3 yard green fur fabric, heavy duty sewing needle and basic sewing essentials. Garlands have that power to add such a strong Christmas spirit in your home, especially if you choose the right colors! For this project, you need glitter scrapbook paper, string such as thread, thin ribbon or wool, a large needle, scissors, and a 2 1/2 inch circle punch. You will also need some basic sewing skills for this too. 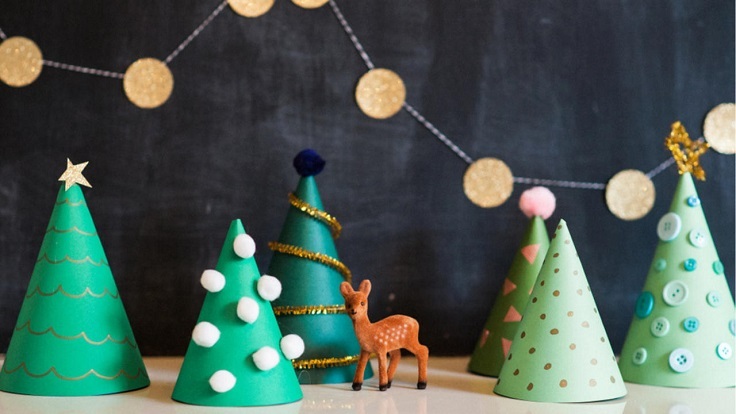 This is a simple paper Christmas tree project that won’t cost you a lot and won’t take you too much time to make it. You need green card stock, glue and decorative art supplies to embellish, such as mini pom-poms, pipe cleaners, washi tape, buttons and a gold marker. You can experiment a lot here, so get creative and get things done! Corks can be an amazing item for DIY crafts and this one is a great example for it. 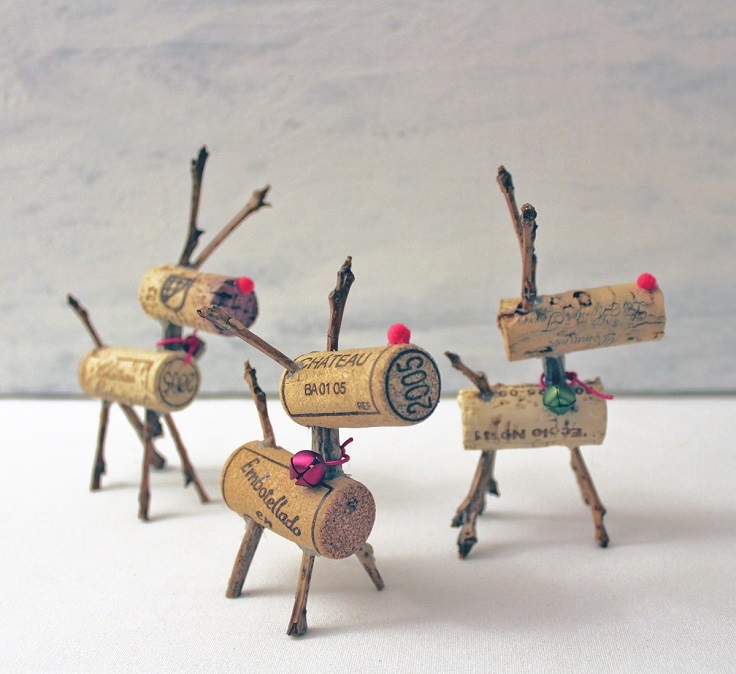 Instead of throwing them away, you can use them and create your own eco-friendly deer. For this craft, you need wine corks, twigs, red puffs for the nose and small bells to wrap around the neck. 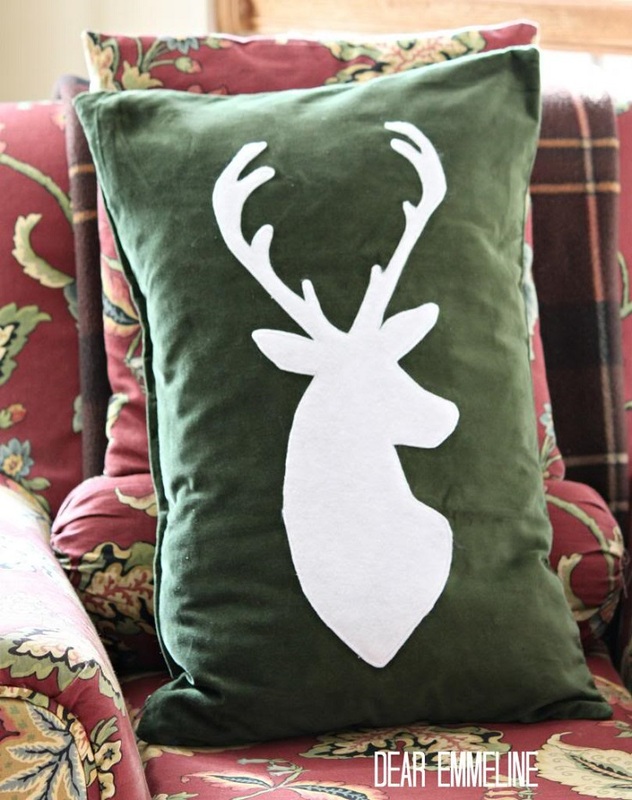 You can place this deer anywhere in the house, especially to those places where you can’t place a bigger decoration, so you have to stick to smaller options, like this one. Another creative way by which you can add Christmas spirit in your home, especially in the living room and bedrooms is having festive – decorated pillows. There is a huge choice at the stores, but it might be a little bit expensive at times. So, instead of that you can try decorating your own pillowcase with a cute felt in animal shape. Here we have a deer, but it’s up to you which one you’d like. 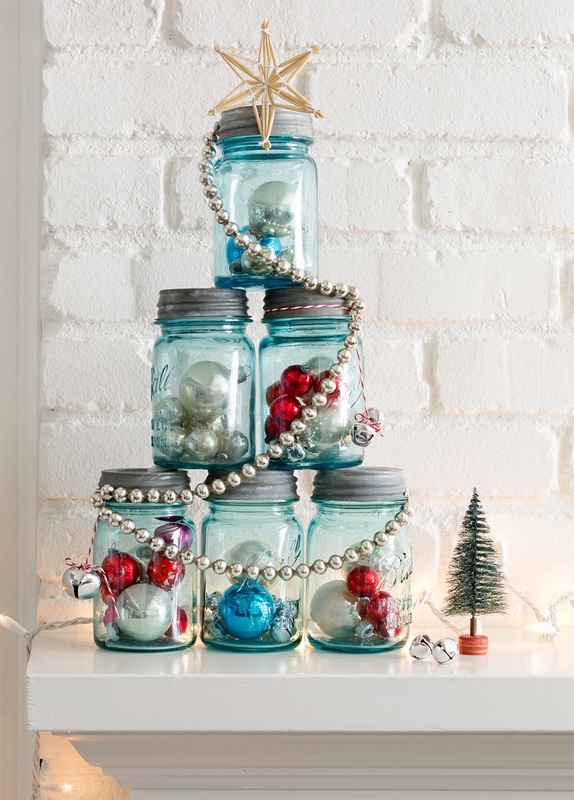 There are so many ways that you can use old mason jars and being a great centerpiece is definitely one of them. If you like this idea, you will need red paint, Christmas tree leaves and berries and a ribbon. It’s really simple – start by painting the whole jar and apply few coats if needed. Wait for it to dry and then place the other items. For a better look, wrap a ribbon around it and you’re done. 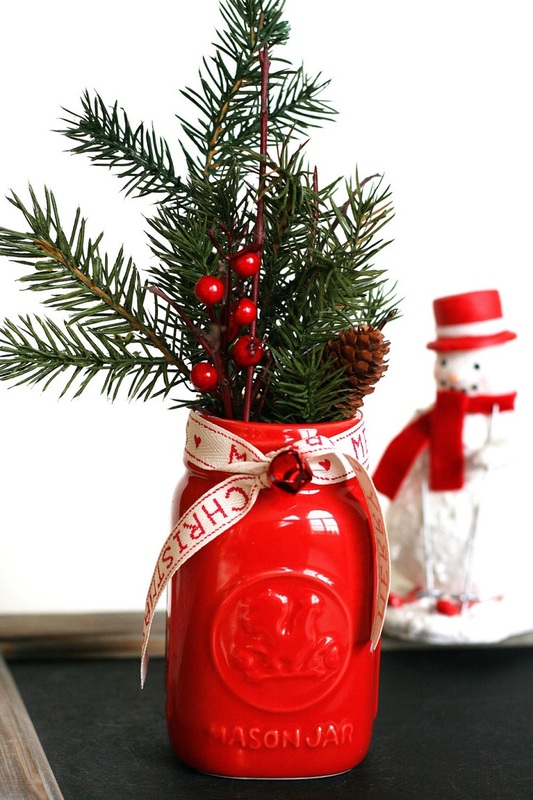 Here’s another creative way of reusing old jars. You can make a Christmas tree with them, so gather as many you’d like, but note that if you put too many, the tree won’t be stable! Clean them, place ornaments or other Christmas – related items and arrange them so that they become a Christmas tree. This is a super easy and quick craft, it’s perfect if you want a change without spending too much time or money on it. 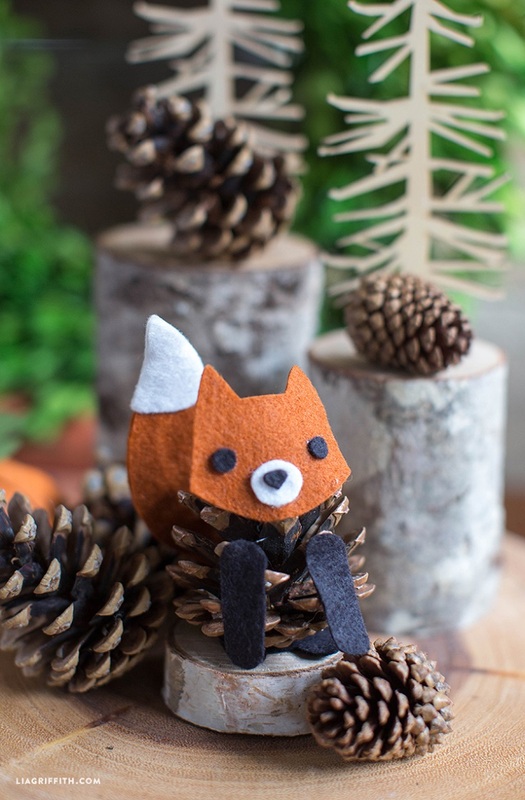 These cute, little felt fox pinecones can be placed anywhere in the house and are the perfect little detail that can make any room more charming. You need felt in few colors, depending on which animal you would like and a pattern of it, glue gum and pinecones. It’s super easy, as all you need is to cut out the felt pattern and glue it to the pinecones. A plesiangly rational answer. Good to hear from you.